Opera VPN is a great VPN service and it's free. The performance is great, there are several features that need improvement, but overall we were more than happy with the service. There aren't too many free VPN services that come close to the high standard that Opera VPN set for the free VPN market. It is common knowledge that Google Chrome and Firefox are the browsers of choice for most Internet users. Today we would like to talk about another web browser that is by no means a small-time service, and has been around for a while in the industry – Opera. The chromium based browser is very user friendly and packs a lot of interesting features under the hood. Opera browser is presented as a fast, secure and easy to use browser. After testing it out, we discovered that it is more than that, it also offers some security features such as an integrated and free VPN solution that we would like to discuss in this review. Recently they announced that they will integrate a free web-based secure proxy widely marketed as browser VPN, which in fact is an encrypted proxy which secures the browser communication. At the moment this feature can only be used in the developer edition browser but it will soon be integrated into the main version. According to Wikipedia and tech news sites, on the 18th of July of this year, the Norwegian based company sold Opera to a group of Chinese technology companies including Qihoo 360, that will give them additional financing and access to new customers in China. Opera was never a leading web browser, but it always makes it to the top 5 based on browser usage statistics and it is taken into consideration by most web developers when it comes to plugin and app compatibility. The add-on is very easy to use and doesn’t give you too much room to customize. 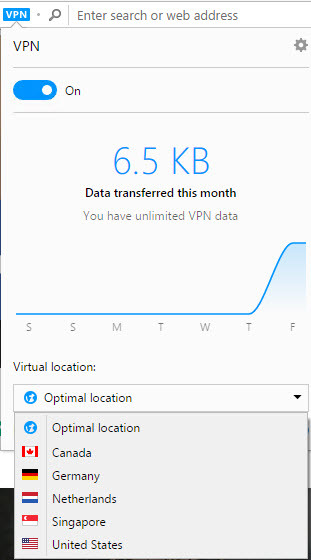 Apart from selecting your desired connection server location and an On/Off switch, you only have a data transfer meter displayed, and that’s about it. The settings button takes you to the Opera Settings page shown above, with no further customization options. This doesn’t mean that it’s poorly made or not functional product, on the contrary, its simplicity denotes a professional approach focused on functionality and accessibility to the everyday user. The browsing experience is very smooth and we had no problems streaming media and accessing web pages regardless of the type and location. Even the Singapore server which came back with the lowest speed result actually offered a good browsing experience and there were no visible delays. Netflix did not work, the service detected that we were connecting through VPN, but again, this is something we expected, since they target and ban entire IP ranges from data centers (most of the VPN providers are not at fault for the media streaming services not working). The add-on uses AES 256bit encryption, for DNS they use Google public DNS. We tested and there were no WebRTC leaks, so it seems like the protection is integrated directly in their proxy feature. The iOS VPN app uses IPSec with iOS built-in VPN settings. When you sign up to use the service they are not asking for an e-mail address or any kind or identity verification, the credentials are randomly generated. The application is simple providing almost the same feature as the browser add-on. The difference is that you have a block ads/trackers feature which you can turn on and off. This feature also has a counter showing how many ads have been blocked during the browsing. We discovered that some of the ads do slide through, so it is not 100% effective. The speed on the mobile app was very good, smooth browsing, there were no connection issues or delays. It’s also worth noting that the iOS VPN re-connects automatically even if you change the network and we were pleased to notice that it’s been connected to the VPN for several days, even after switching Wi-Fi and 3G networks multiple times. We haven’t seen any kind of ticketing system or contact option from the add-on, however there is a contact form on the opera website. We usually see this as a negative aspect, but in this case, the knowledge base and the FAQs were so well made that our questions were answered directly on the website. As far as submitting a ticket, we have yet to find the way to do it, but in all fairness, we had no issues to report. 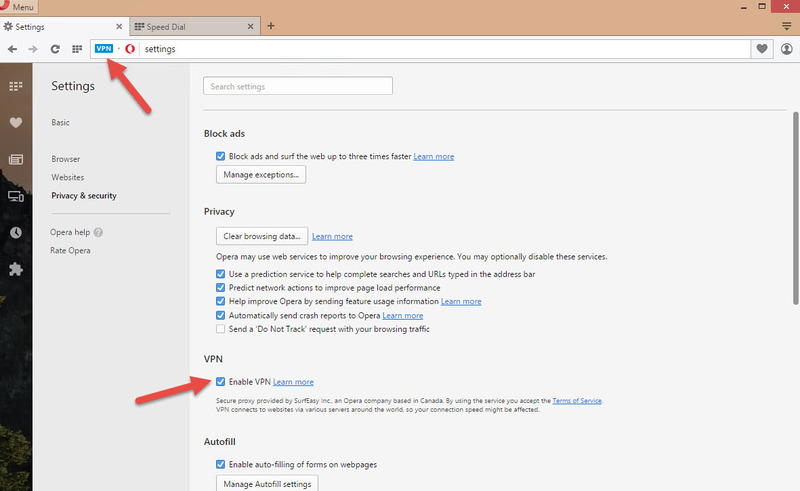 In short, we were very satisfied with the integrated VPN add-on provided by Opera. The browsing speed was good, the overall experience was great, with a clean and intuitive interface that gave us a secure connection from all available locations. Great looking, functional and very intuitive add-on. 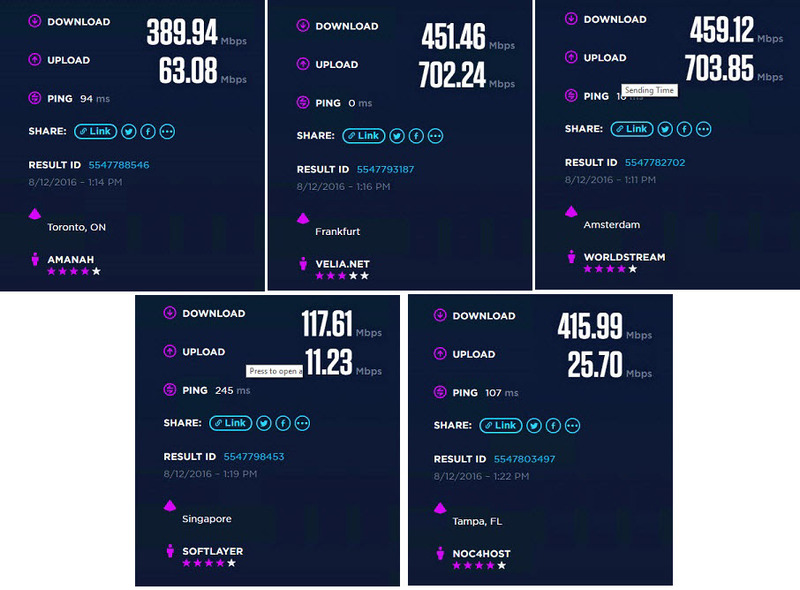 Connection speed was great and browsing experience was fluid. Free VPN app for iOS, which includes basic ad and tracker blocking. The mobile app ad-blocker is not very efficient. It blocks some ads, but not as many as we would have wanted it to. The built-in browser add-on is not open source. It would be nice to see more connection location options in the future. They use Google DNS services instead of proprietary ones. In conclusion, we were very happy with the features they offer, for a free service with no information required to sign up. It could compete against third party solutions and even against some paid services, as far as performance goes. 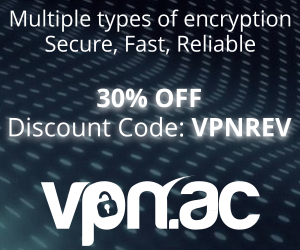 We would rate this product a 6.5/10 as a free service, however keep in mind that there is always a catch with a free VPN service. Thanks for the review. Indeed it works well, actually better than Zenmate which I used for a year. Another happy user here. For a free product, it works great. Ironically, even better than some paid VPNs I used. it’s a browser proxy, will only work in your browser. This should be common knowledge.